Now I know I spoke of coats on my last post but in truth I will be putting off wearing them for as long as possible (you need to buy them now and stash for later). I'm not even ready to break out my jackets or blazers just yet. Now is the time to show off some gorgeous knitwear which thankfully doesn't require another layer just yet. A few key pieces are set to keep me going through to half term sans jacket I hope! I'm going to kick off with investment piece that's come from a gorgeous little boutique who are online as well. This Orwell & Austen sweater was sent to me by Collen & Clare. A classic grey cashmere sweater with a little twist......I adore the rainbow cuff. They have a brilliant range of knitwear to suit all budget, they even do their own line of very reasonable cashmere here. If you should find yourselves in Norfolk or Suffolk make sure you pay them a visit! Their stores are real treasure troves! ....in winter they are most likely all anyone will notice about your outfit! You make think it's a little early to think about coats.......however I already have 3 new ones gracing my A/W wardrobe! You've got to get the goods ones before they've all gone! Especially if they have a great discount! This New Look faux fur is part of their New Season Now campaign and is currently reduced to £30.....25% off! I'll be wearing this casually with a chunky knit, straight jeans and hi tops as well. When you find a dress that's the perfect shape.....and you want it in every colour! Rather than switch to my default of jeans once the weather turns cooler I've been looking for alternatives. 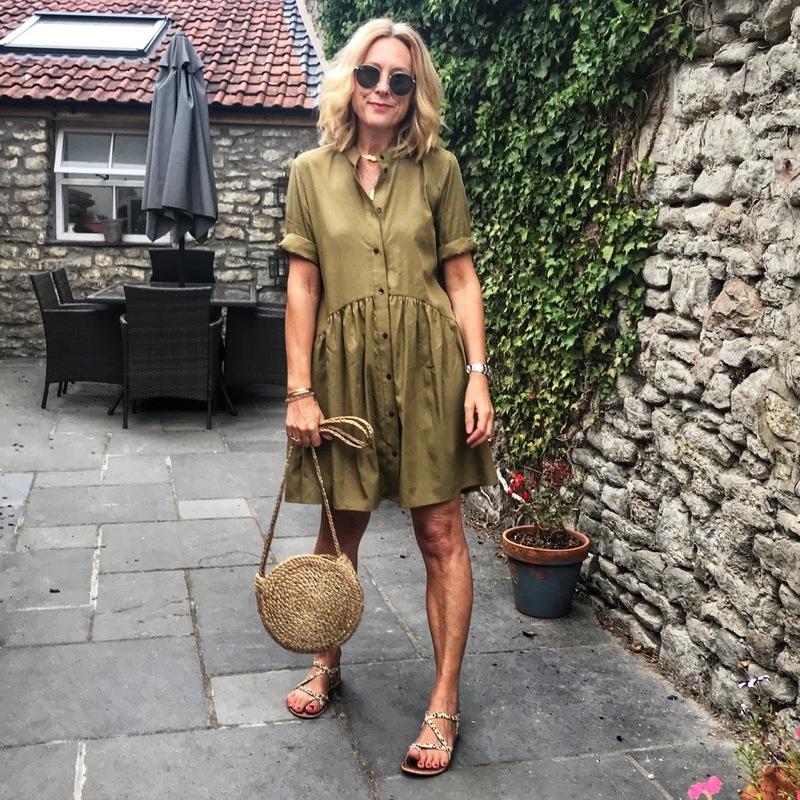 I tried this dress on a while ago in Zara but left it as the weather was scorchio at the time and I didn't think I'd get the wear out of it. But as an Indian summer has been promised I decided I had to have it! It's one of shapes that goes with almost every pair of shoes in my wardrobe......as I'm about to show you. I bring you a picture heavy, word short post!